Going into this book, I had expected some sort of existential, philosophical discovery kind of journey, but that is really not what I got. Instead, it was a murder mystery sort of novel (my favourite!) with a large twist. In The Witch Elm, Toby is a well-rounded, generally deemed good person, who suffers a life-changing event and is seemingly never the same after. Struggling with his head injury, Toby rapidly finds himself in a state of constant confusion, with muddled memories adding to his paranoia. Having escaped to the Ivy House for refuge with his dying uncle, things quickly turn around when a skull is discovered inside a large elm tree in the garden. Again Toby’s life is plunged into mystery, with detectives and police at every corner. Who around him can he trust, when he can’t even trust his own memories and character? The Witch Elm follows the main protagonist, Toby, who starts off high and mighty (though not too haughty) but quickly falls to rock bottom. Even we ourselves as readers are not sure if we can trust Toby with his disjointed memories. This made for a very interesting read as usually a whodunnit novel doesn’t involve yourself as a prime suspect. Everyone appears suspicious, but we also can’t rule out ourselves as a possible suspect either, making this story an exciting journey from the beginning all the way to the dramatic climax and denouement. I really enjoyed that this book explored a lot of aspects of identity and self-awareness. How much does who you are as a character really play into your actions? Also, how strongly do people judge your actions by how closely it matches your perceived character? There is a very interesting exploration of this whole reality versus perception of character and actions that is a motif found throughout the whole book. The beginning did start off a little bit slow for me, and the lucky nature of Toby was a little bit irritating. But as I got to about half-way through the book, I actually found myself really entranced in the whole scenario, not unlike how Toby must have been feeling in the book himself. Each persona in the book was well thought out and developed in such a way that even though everyone’s character was clear as day, it was difficult to pin down any incriminating evidence. Just when you think that things are about to be resolved, things take another tumble and whirl around until the very final resolution. It was definitely an exciting roller coaster of a journey that was gripping all the way to the very end. A haunting story of rediscovering yourself on the backdrop of a murder mystery. Toby is a classically lucky guy up until he slides right to the very bottom. The story follows him as he struggles to remember what might or might not have been, and who he can trust when a human skull is found in his garden. 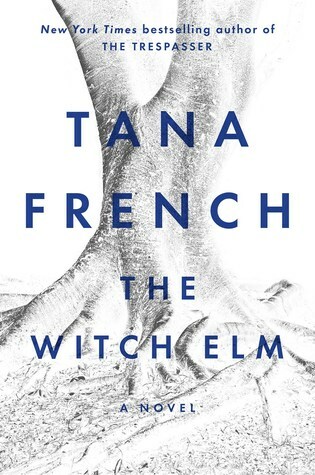 The Witch Elm is a gripping tale that explores how the perceived reality versus the actual truth might differ. What we discover about our true selves might sometimes be better left unknown. If you enjoy a thrilling murder mystery where literally everyone is a suspect, you will probably enjoy this book. If you like that idea with the addition of a self-(re)discovery journey layered on top, then I would definitely recommend this book.